Remember that old wives tale about losing most of your body heat through your head? It’s total crap, but that doesn’t mean you shouldn’t rock a beanie when the wind chill drops ridiculously low. Like it did today in Melbourne. 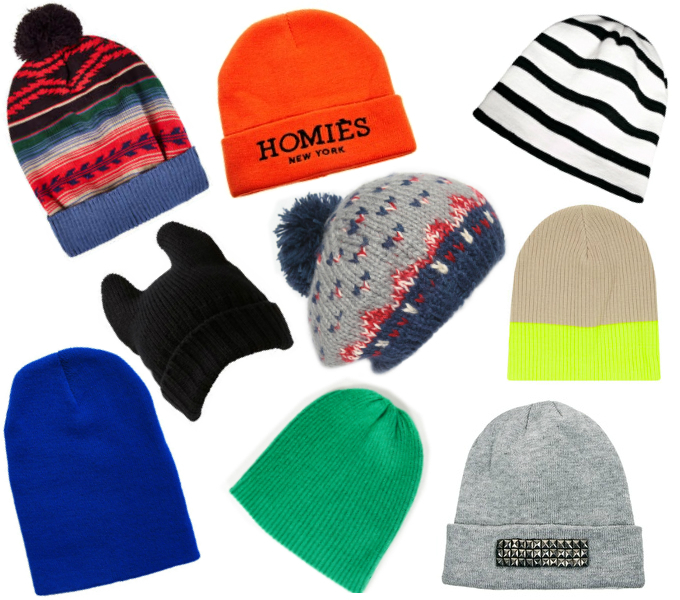 Because beanies rock, it’s that simple. Wearing a beanie fits in with my theory about the warmth of certain items being all upstairs, remember scarves? We think we’re warmer, therefore we are. Right? It’s not a theory I’ve spend a great deal of time extrapolating but being that it is a theory I can probably continue to have absolutely no facts to back it up. What I do have is some killer streetstyle to reinforce my assertion that beanies rock. In all sorts of colours and shapes, some even sporting pom poms, now that is rad. Of course being a currently crushing post I simply couldn’t leave you with a simple mash up of streetstyle shots, I must also show you some fabulous beanies you could have in your hot little hands or on your cold head in no time. So here they are! Let's kick if off with the Topshop Fairisle Beanie, orange Homies goodness from Reasons, boyfriend stripes from ASOS, killer cat ears from Sportsgirl, slouchy knits from Market HQ, Topshop colour block, brilliant blue from Evan-Evina, emerald green by Glassons and some studded grey from ASOS. Feel free to go ahead and snap up any of the bargains above and there are some great ones there, but if you're looking for something a little more extravagant, you could try this embellished wool and cashmere blend from Lanvin, just slightly pricier but oh so pretty. Or even this tiara-esque beanie from Markus Lupfer. Frankly it doesn't matter where you're getting your beanie action from as long as you're getting it. Now that's a tale that ain't crap.